We are now publishing our best-selling Phantom eBook here on the Droneflyers.com site – and removing it from sale on Amazon. The book will be published in sections, each of which can be read online or downloaded as a PDF (see button at bottom of article). Note – all material is copyrighted, so please do not redistribute online or in bulk (lending and passing on is OK). Although the book will be 100% free you can still help the site and author by using one of our affiliate links (ads in the articles and at the bottom) to make purchases. In that case we receive a small commission – but you don’t pay any more! The entire book will be published – along with updates – by September 15 – so please start your reading now and watch for new chapters! By any method necessary, Craig has been attempting to leave the confines of Mother Earth since childhood. From Model Rocketry to Balsa Scale Models, his early attempts succeeded in sending large payloads, including live mice, into near space. In his adult life, he first tried CB Radio with pirate channels, then Ham Radio with vast antenna arrays on his rooftop. Finally he found the promised land of Compuserve (1986), AOL (1988) and the Internet (1994 on). Along the way, he developed and sold various alternative energy products, wrote technical manuals, obtained two patents, founded major web sites and, along with his spouse of 40+ years, raised three children. Craig founded the popular Droneflyers.com web site and regularly tests and reviews quadcopters, cameras and other related accessories. His first book, Getting Started with Hobby Quadcopters and Drones, quickly became a best-seller and garnered rave reviews. *certain trademarks, logos and sketches used in this work are trademarks, copyrights and/or property of DJI – The Author is not employed by nor a representative of DJI. If you or your friends are just getting started in this thrilling hobby, be sure to check out our beginner’s book Getting Started with Hobby Quadcopters and Drones – available on Amazon in ebook or paperback form. The DJI Phantom 3 & Phantom 4 Quadcopters represent a major milestone in the adoption of consumer level drones. This is a Photography and Video platform that, just a few short years ago, would have been impossible to build for even 10x the current price. The DJI Phantoms are sold Ready to Fly (RTF) complete with transmitter (also called the Remote), camera w/stabilizing gimbal and advanced navigation and software control. This book will introduce the reader to DJI, the history of the Phantom quadcopters and the newer Phantom models. Features, operation and safety will also be discussed. This book is designed as an educational resource and a guide to help beginning flyers and those new to aerial robots make an intelligent purchasing decision. Those just entering the pursuit or ready to step up from toy grade models will learn all the basics – and more. If you are already experienced with R/C flying and/or quadcopters then you may be able to skip this book. Hopefully you are familiar enough with the DJI products to research them online and make an informed choice on your own. 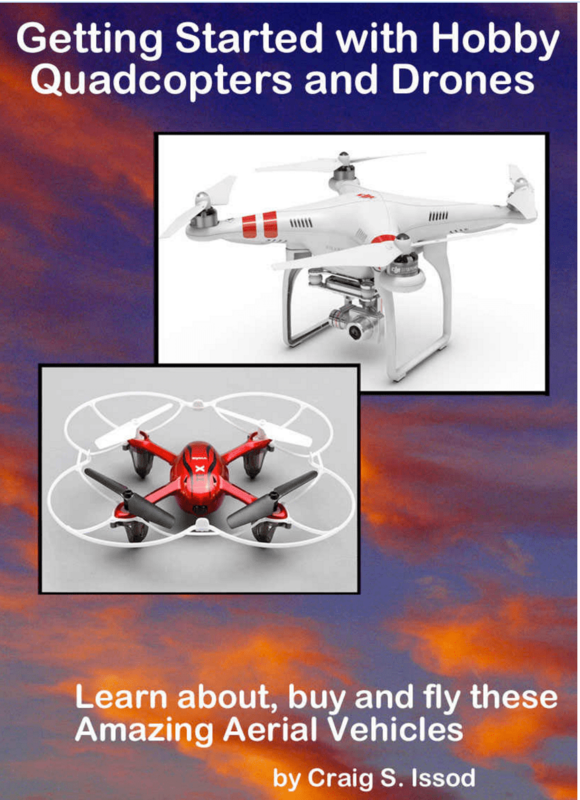 If you have never flown a quadcopter or other R/C craft, it may help to start with our other book Getting Started with Hobby Quadcopters and Drones, available on Amazon in ebook and paperback form. Practice makes Perfect and better to crash and lose a couple $40 quadcopters during your learning experience then to lose your precious DJI Phantom. Note: This book is not written as a replacement for the DJI manuals or guides, rather it is a Cliffs Notes and overview of the Phantom 3 and 4.
Who should consider a DJI Phantom Quadcopter? We will use the terms drone, quad and quadcopter interchangeably, drone being the common use in the news media while quadcopter is more descriptive of the Phantom models. Not all drones are quadcopters – quadcopters have 4 propellers, while some drones have 6 or 8. There are also winged drones with one or more propellers or jet engines. Future drones may have flapping wings and other propulsion methods. A more accurate name might be UAVs, which stands for unmanned aerial vehicles. Some use the term aerial robots or autonomous in their descriptions, indicating the drone may have more advanced capabilities, such as flying a pre-programmed flight path (called waypoints) without operator input or control. We will start with only a few definitions – a more complete glossary is at the end of the book. Autonomous – not subject to control from outside, often used to describe a drone which follows a preset path using GPS or other means, as opposed to being actively steered by the operator. DJI – DJI Innovations, manufacturer of the Phantom models. Drone – A newer, perhaps slang, definition for any unmanned powered aerial vehicle. F/C or Flight Controller – the brain of a quadcopter which performs the many functions that keep the Phantom flying. FPV – First Person View – often used to describe cameras mounted on aerial (or any unmanned) vehicles which let the operator see what the aircraft camera sees in real time. Gimbal – Mount for Camera which uses electronics to keep the camera level as your drone flies. GPS – Global Positioning System used to track movement or hold position on DJI quadcopters. LiPo – This describes the type of battery (internal chemistry) that most electric drones currently use. R/C – Another way of writing RC – Radio Controlled or Remote Controlled. Remote – is used by DJI to refer to the Remote Controller (formerly called a Transmitter or TX) which is used to control the Phantom. RTF – Ready to Fly – this means that the unit is sold complete – little or no assembly or programming is needed to take to the skies. Telemetry – Refers to a back and forth connection between an aerial vehicle and your controller/transmitter/screens. This would allow, as an example, the display of the battery power remaining on the drone to be displayed to you at your ground station. TX – Short for Transmitter – this is the radio controller you hold while flying your Phantom – also called a Remote or Remote Control. 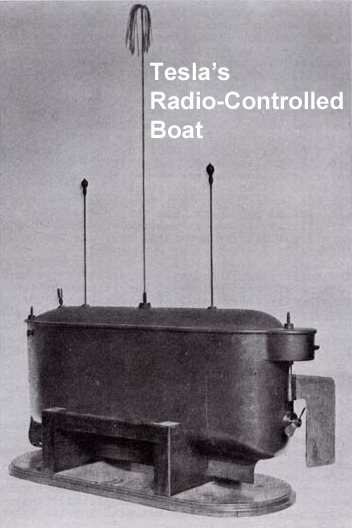 The first demo of a Radio Controlled vehicle was in 1898, when Nikola Tesla showed a working R/C boat at an electrical expo at Madison Square Garden. He claimed the boat had a “borrowed mind” and obtained U.S. patent number 613,809 for various R/C schemes. The de Bothezat helicopter, also known as the Jerome-de Bothezat Flying Octopus, was an experimental quadrotor helicopter built for the United States Army Air Service by George de Bothezat in the early 1920s, and was said at the time to be the first successful helicopter. Although its four massive six-bladed rotors allowed the craft to successfully fly, it suffered from complexity, control difficulties, and high pilot workload, and was reportedly only capable of forwards flight in a favorable wind. The Army canceled the program in 1924, and the aircraft was scrapped. Modern Quadcopters started as an offshoot of the model Helicopter and Airplane hobby. Early models became available in 2007-2008 and by 2009 a number of Chinese toy helicopter companies were adding inexpensive quadcopters to their product lines. At the same time, a few new companies (MikroKopter, Draganflyer, etc.) started to address the photography market with more sophisticated models costing many thousands of dollars. As with similar technological products, hobbyists and hackers advanced the technology by programming and building their own custom quadcopters. 2012 saw explosive growth in the market and technology, as costs went down and capabilities up. Much of this was driven by lower prices for the important electronic components – which was driven by the rise of hundreds of millions of smartphones and game machines. Accelerometers, gyroscopes, electronic barometers, compasses and GPS – the same instruments in your smartphone – help keep a drone flying. Cameras are also getting smaller – again driven by the market for millions of them inside smartphones and consumer digital cameras.All these factors combined to make the DJI Phantom and similar quadcopters a reality. The first DJI Phantom model, the Phantom 1, was introduced in November of 2012 for a price of approx. $700 US. In the same way that the Apple II computer started the mass market for personal computers, the Phantom 1 brought in legions of new users. It has been followed quickly by more advanced Phantom models. (link here to ID every Phantom made!). 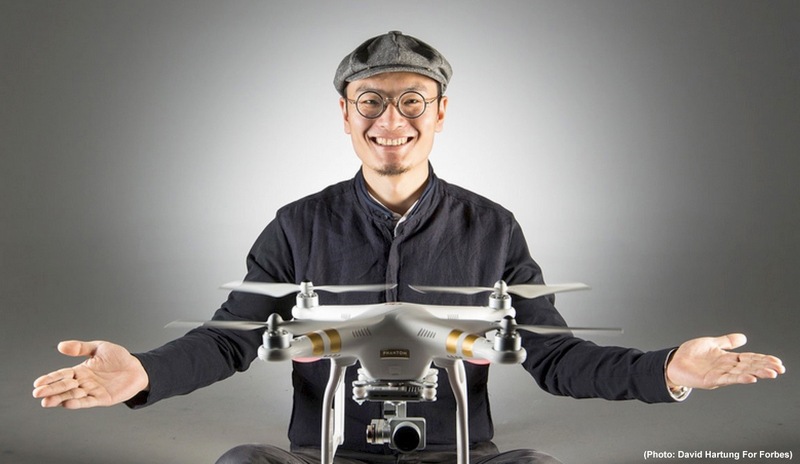 DJI became a billion dollar (total sales) company in 2015 and sales are still accelerating. A recent outside investment in DJI set the market value of the company at approx.12 billion dollars! DJI grows by staying one step ahead of the competition and delivering as much technology as possible at the lowest possible price. This often leaves their competitors scrambling as they find themselves unable to achieve the benefits of scale (mass production, engineering) that DJI uses to drive the market. What makes a Phantom Different? Most other quadcopter companies decided to appeal to the impulse buyer by producing $20-$150 models with limited features. These models are considered toy grade. Although fun platforms for learning, they are somewhat disposable and not capable of heavy payloads and long distance flight. DJI decided to build a better quadcopter with higher grade parts and features. This means a Phantom will last much longer than the toy machines. Built-in intelligence makes it easier to fly and less likely that the operator will lose it. DJI includes a high quality camera in the P3 and P4 line – giving the operator an “eye in the sky”. 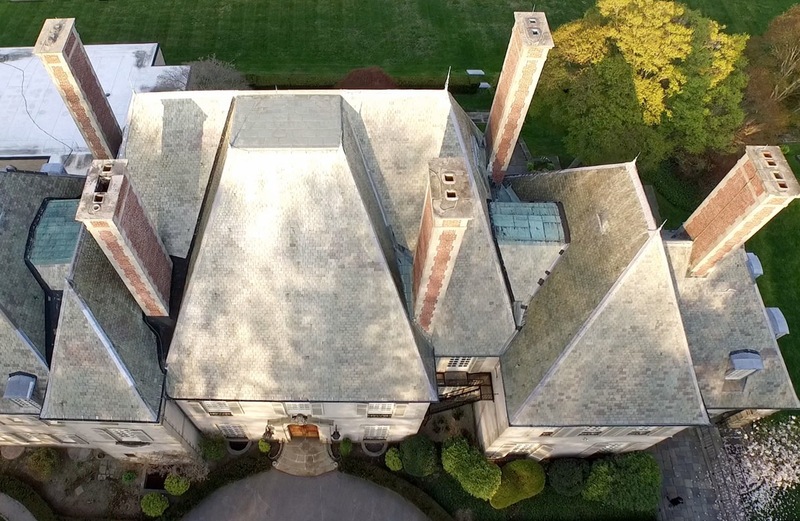 As technology has advanced, DJI has built in more and more features. Although competition is a good thing, there are currently no other companies offering the same level of sophistication and reliability in a RTF (ready to fly) consumer (<$1300) quadcopter. In addition to reliability and relative ease of use, the Phantom is of a size and weight which represents the sweet spot for many uses. Larger models are available, but the costs spiral – somewhat similar to boats, where a larger model costs much more than a mid-sized one. The newer Phantom 3 models are truly mass-produced, giving the consumer an amazing amount of technology at a unheard of price point. 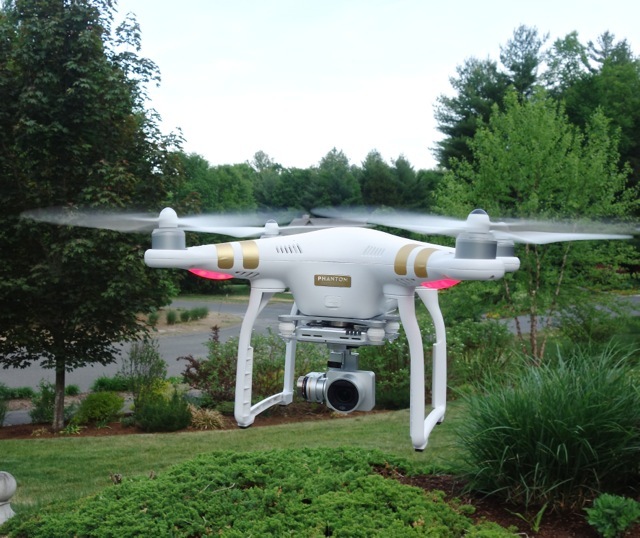 Should You Buy a DJI Phantom Quadcopter? Phantoms contain impressive technology, however skills are still required to fly – and most importantly keep – your Phantom. The internet is full of stories about new pilots crashing and losing their Phantoms. There is a good chance this will happen to you if you do not spend the time to properly understand the Phantom. We have written a few articles on avoiding such problems. These are very delicate machines and should not be used as your sole flying machine – that is, don’t practice with it, demo it and fly it around for your regular hobby. Rather, these are flying cameras which should only be used when you intend to actual take footage and still photos. Flying them for other reasons will likely cost you time and money. 1. If this is your first quadcopter – don’t fly it! Buy a couple toy quadcopters and then perhaps a low priced (w/o camera) Phantom 1 or older Blade 350QX and get a number of hours of flight time. 2. Please don’t experiment with your Phantom – it seems that many who take up this hobby like to push things to the limits…and then far beyond. If you want to keep your Phantom, think and act very conservatively. Treat it like you would a very fine and delicate flying camera – because that’s exactly what it is! 3. If you regularly fly long missions over large bodies of water, in urban areas or or out of your line-of-sight (LOS) you are very likely to lose your Phantom prematurely. Crashing or losing your expensive aircraft is not covered under the DJI warranty…this is true of any and all hobby quadcopters. There is additional insurance available from both DJI (DJI Care) and some 3rd parties (Neary Aerial) which will cover your Phantom for most crashes. If you would like to help support our publishing and educational efforts, purchase your Phantom (or accessories – or anything at Amazon, etc. for that matter) using the links below or on one of our sister sites of Dronesavings.com (best deals updated regularly) or Phantominfo.com (most everything you need for a Phantom).